Scan DSA5 woodburner wood burning stove installation from Kernow Fires. 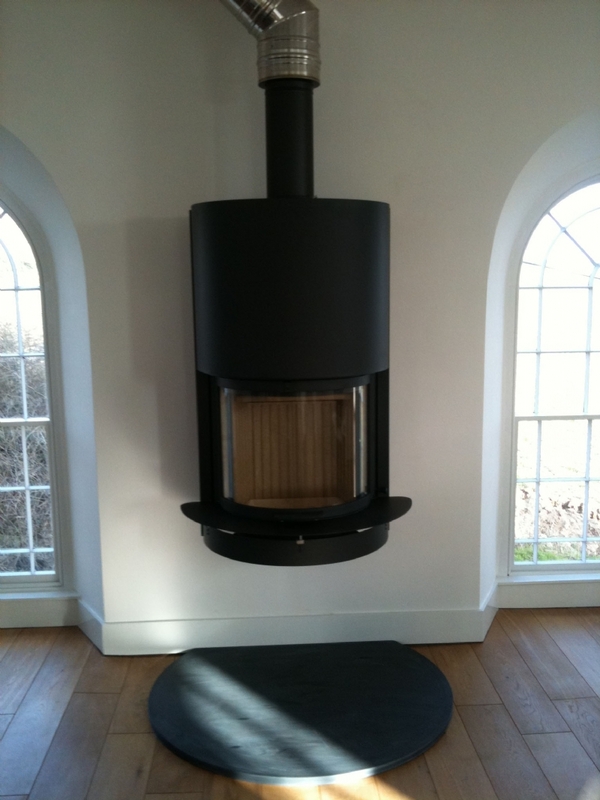 The Scan DSA5 was perfect for this chapel conversion. Fitted to the wall and flued via single then twin wall through an appropriate place in the roof it has a huge output which was required and the curves complement the windows and design of the building bring a contemporary feel. Unfortunately this fireplace is now discontinued.